Schalke got their tactics spot on when they visited Dortmund in October and it's worth backing them to repeat the feat in Gelsenkirchen. The 149th Ruhr derby in the autumn ended 0-0, a novel scoreline in the modern Bundesliga. And while it’s long odds that the return affair at the Veltins Arena finishes goalless, there’s no doubt that the hosts have the tools to keep Dortmund’s sparkling attack quiet. That attack is slightly less sparkling without the services of Mario Gotze, Marco Reus and Andre Schurrle, but Dortmund have scored 21 goals in seven games since a 1-0 defeat at Benfica and are uncompromising in their approach. Thomas Tuchel is acutely aware that Schalke are going to be aggressive defensively just as they were in Dortmund where BVB couldn't muster a single effort on goal in the first half. 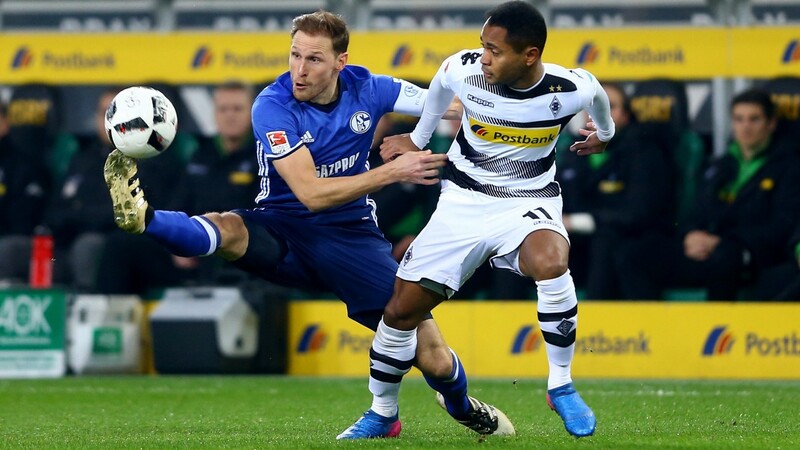 That performance was a feather in the cap of Schalke boss Markus Weinzierl and Benedikt Howedes, a hero that day, will once again have to have his wits about him stifling Pierre-Emerick Aubameyang. A clean sheet prior to the international break – they won 1-0 at Mainz to maintain their slim hopes of European qualification – will be more cause for optimism, and Schalke have lost only twice since the winter break. The last two Revierderbys have ended all-square and most of the recent showdowns have been tight. Goals, usually a staple of Bundesliga games, aren’t always forthcoming when these teams meet.